sexiest costumes: New York Fashion Week: Fall/Winter 2014-2015. 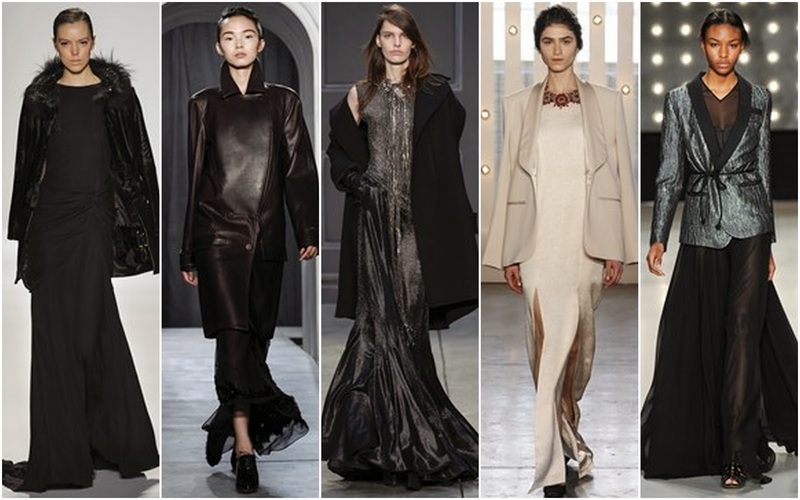 New York Fashion Week: Fall/Winter 2014-2015. New York Fall 2014 Fashion Week is done and nearly dusted for another season. Victoria Beckham presented a collection that was almost entirely in black and white with an emphasis on ruffles and pleats, Diane Von Furstenberg celebrated the 40th anniversary of her iconic wrap dress with a ‘Bohemian Wrapsody’ entitled collection while Donna Karan celebrated 30 years of Donna Karan. From fringing to pantsuits, here is a look at the trends to have hit the many catwalks. Texture Blocking. 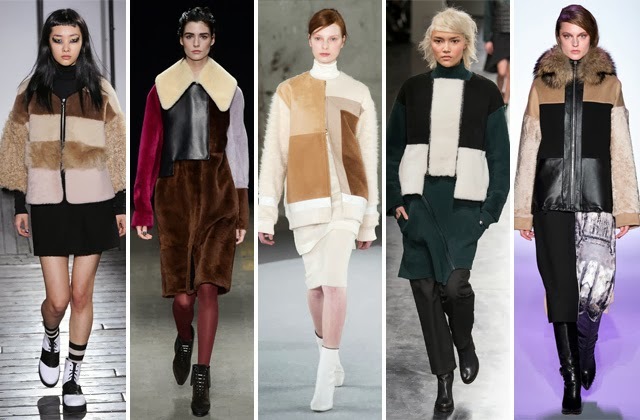 The combination of Leather, Shearling and Fur formed one of the cosiest trends to hit the New York fall runway. Pleats. Were a recurring idea through out Fall Fashion Week. Side Slits. 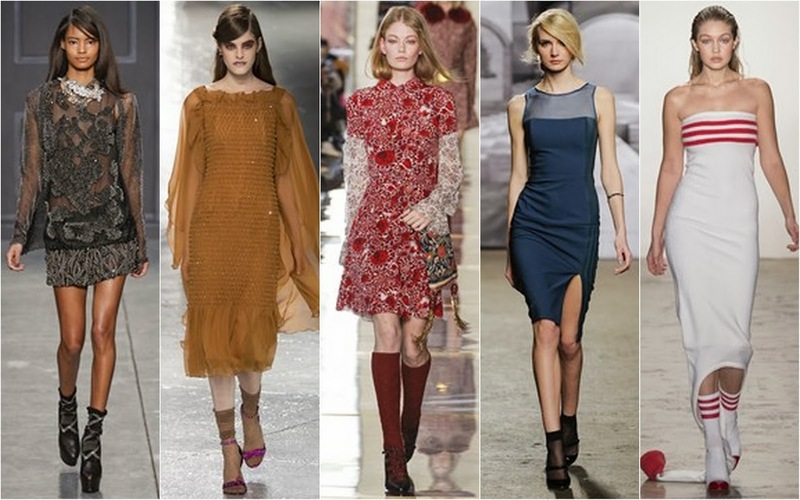 So many designers did the split side skirts for fall 2014 that it officially became a trend. Black Velvet. Black velvet stood out at Oscar De La Renta, Cushnie et Ochs and Carolina Herrera. Knits. 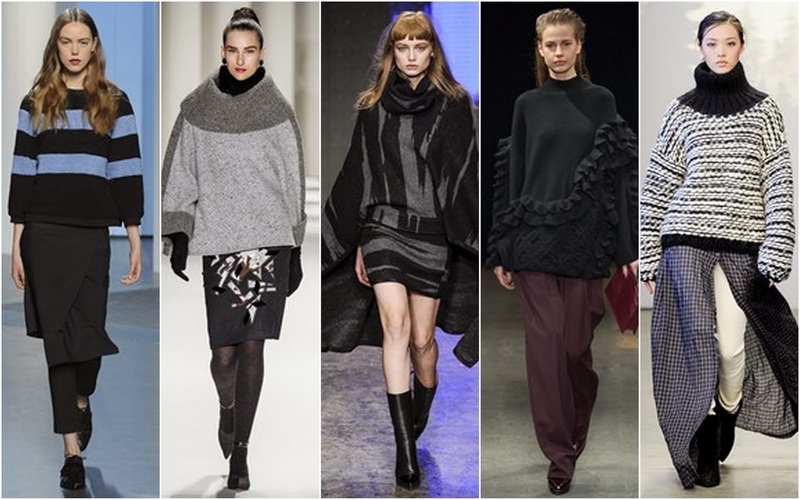 Oversized and chunky knits played up the proportions theme that's been showing through all season. Mesh. 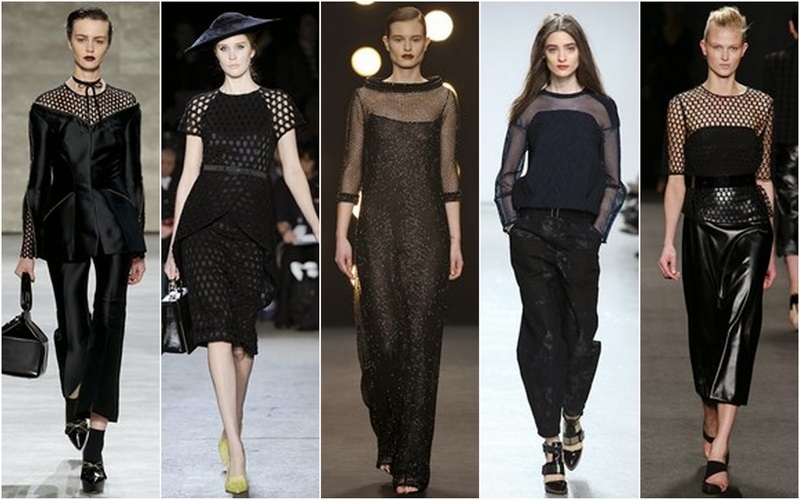 Another trend to make a comeback from the spring 2014 runways, mesh emerged as one of fall 2014’s top trends. Masculine Chic. Mannish touches in forms of leather coats, jacket and blazers were juxtaposed with dainty feminine dresses on so many fall runways. Socks In Heels. First noticed during the Spring 2014 runways at Ralph Lauren, full fledged in Paris, the socks in heels trend cemented its place on the fall runways. Pantsuits. 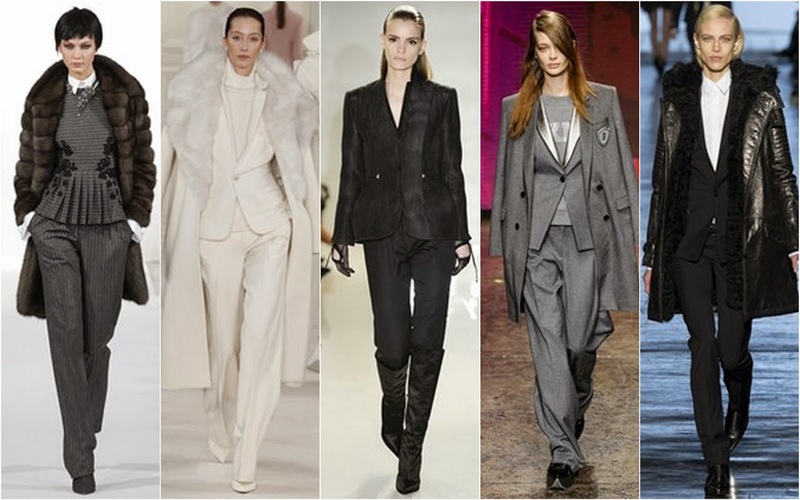 Derek Lam, Oscar De La Renta and Michael Kors all featured one or more versions of the women’s suit with emphasis on the business suit that’s made a comeback. Fringing. 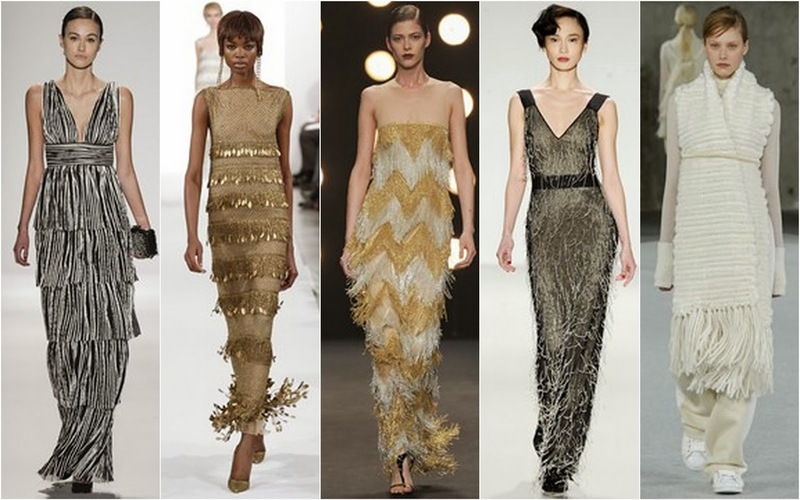 Fringes were luxuriously abundant at Oscar De La Renta, Naeem Khan and Marchesa. Crop Tops + Midi Skirts. 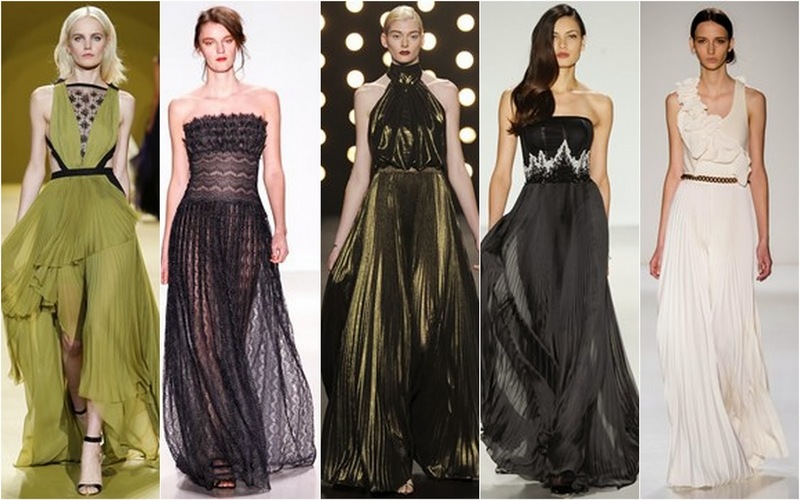 Paris Haute Couture: Spring 2014 Colour Trends. Paris Haute Couture: Spring 2014.